We’re feverish for spring trends too! From bold pops of color to small ruffle details we’ve got the 411 on the biggest trends we’re seeing (and you might too!) this year. Once you’ve secured your spring style strategy you can move onto the important stuff, like a fresh pedicure. Keep scrolling for spring’s hottest trends! 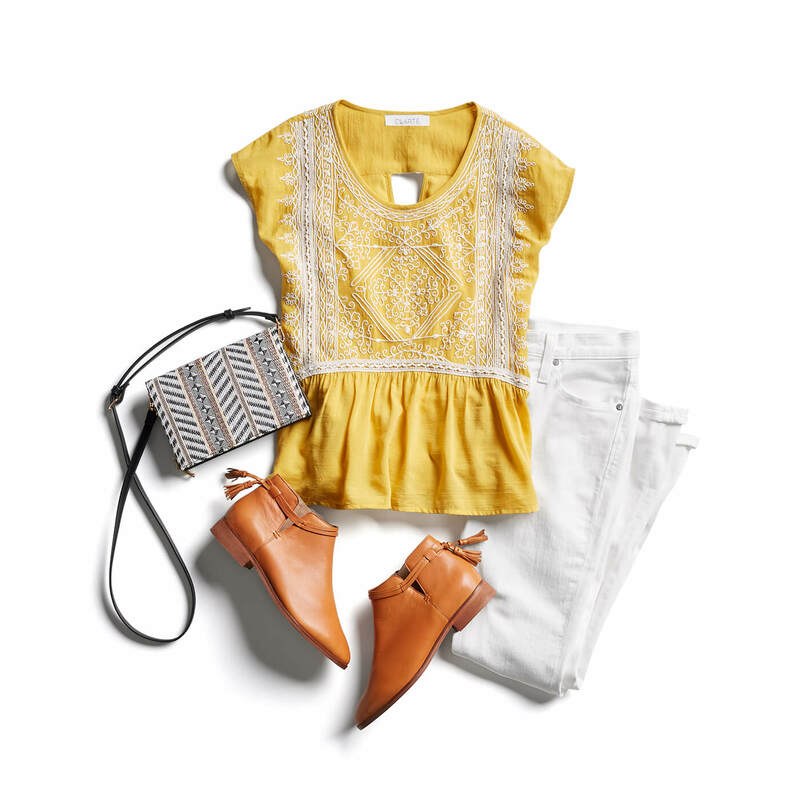 Mustard is oh-so-modern paired with a chic black and white combo. Can’t decide on an edgy or romantic look? 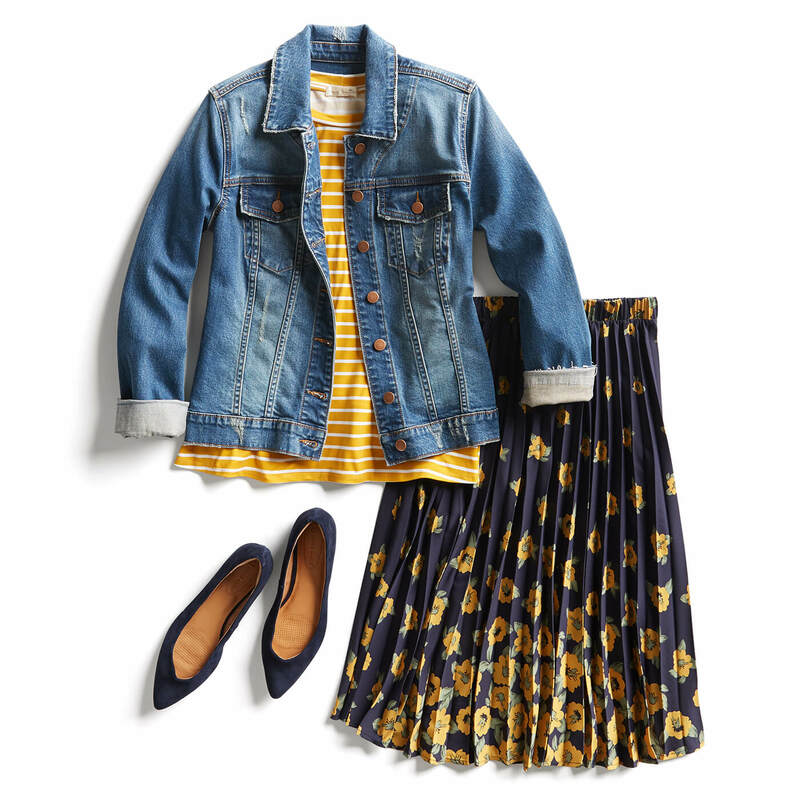 Incorporate both styles with a moto jacket, abstract floral skirt, and playful peep-toe heels for a work ensemble that really mixes it up. Have the button-down blues? If you need something with a little more oomph than your usual tailored shirts, sneak a cami in under that jacket or blazer (we won’t tell!). Add stiletto ankle boots for a fab footwear finish. 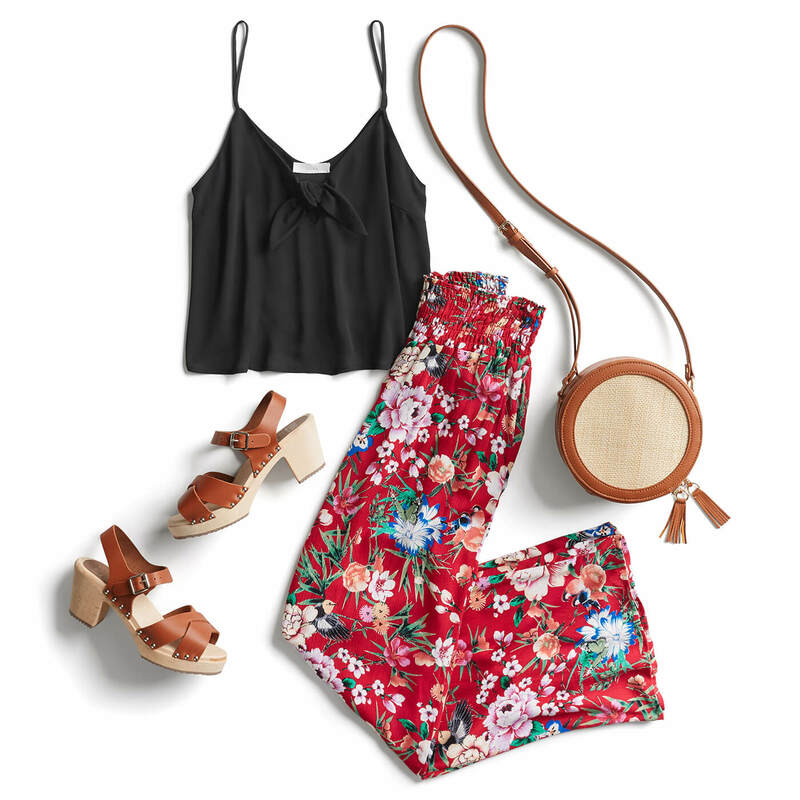 For some free-spirited vibes, trade your usual tees for a bohemian blouse. These breezy beauties are made for warm days and can be paired with colored denim for a look that’s got flowers and power. Color pop, lock and drop it with bold pops of color this spring. Red, mustard, fuchsia, cobalt and orange shades are getting extra love this season. Get bold in colored skinnies paired with neutral shades or keep your burst of bold more subtle with bright accessories. We’re doing the polka with excitement over spring’s most popular print. 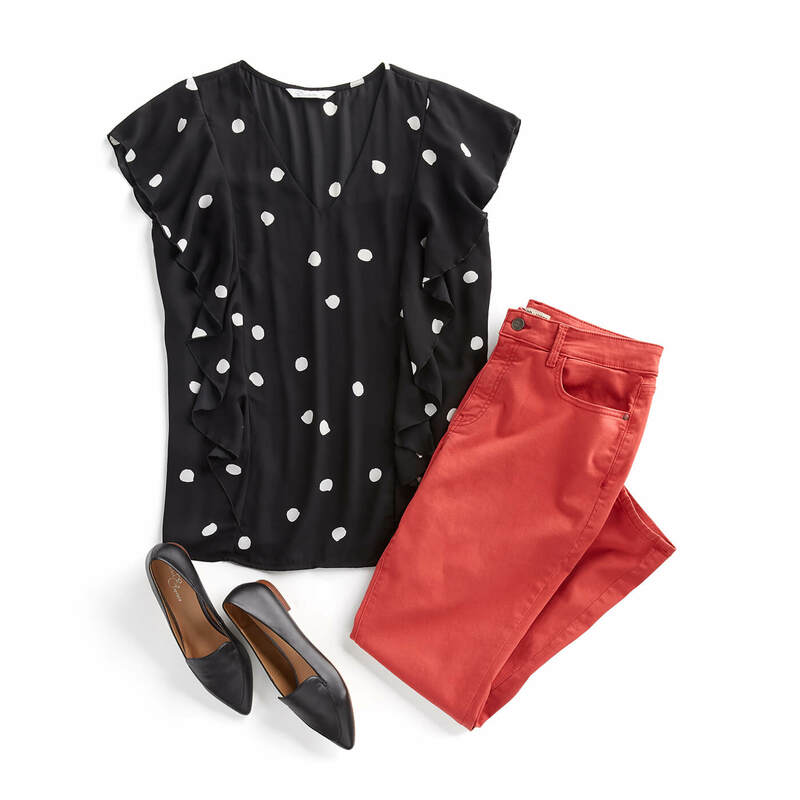 Whether you like smaller speckles or more daring dots, there is no wrong way to get spotted in polka dots this spring. Ruffles are resurfacing as the it embellishment of spring. We’re especially loving tiny ruffle details that add a touch of frill to our everyday outfits. Small, subtle ruffles are the perfect addition to feminine spring frocks. Ready to give some of these spring trends a try? Schedule a Fix and let your Stylist know!